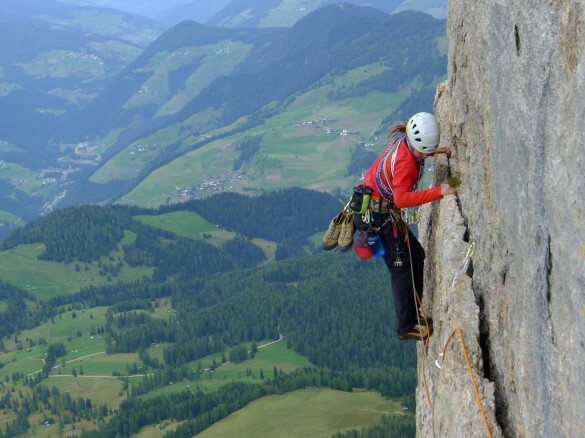 Climb the Dolomites' world-class routes – a rock climber's paradise! 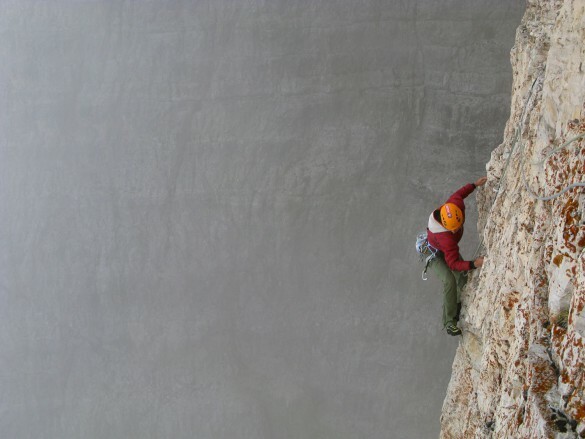 Join Dolomite Mountains for a guided adventure for any level of climber. 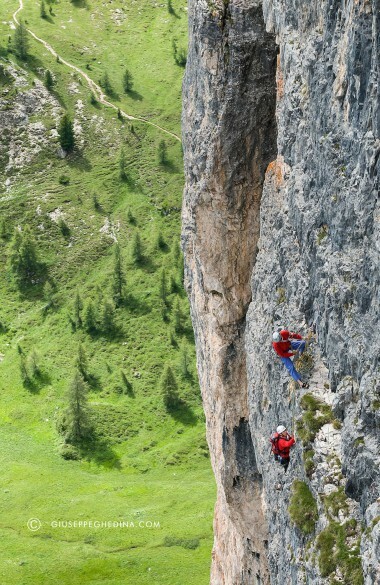 Get vertical in the Dolomites, truly a climber’s playground! The Dolomites are a rock climber’s paradise. Sought after by climbers from around the world, there is terrain for every experience level here. Protected top roped climbs are perfect for novices wanting to learn, while more challenging multi-pitch climbs are a great way to stretch your skills. What’s more? Unlike many other regions in the Alps, short “approaches” (the path to the base of a climb) let you spend your time climbing, rather than hiking to get to the climb. And an added bonus is being surrounded by the incredible Dolomitic landscape, with unparalleled vistas from the top of each climb! On our rock climbing trips, we’ll teach you the ropes – literally! Whether you’re a beginner putting on a harness for the first time, or an experienced climber looking for the next level of skill and adventure, our guides can lead you into (or higher up in!) 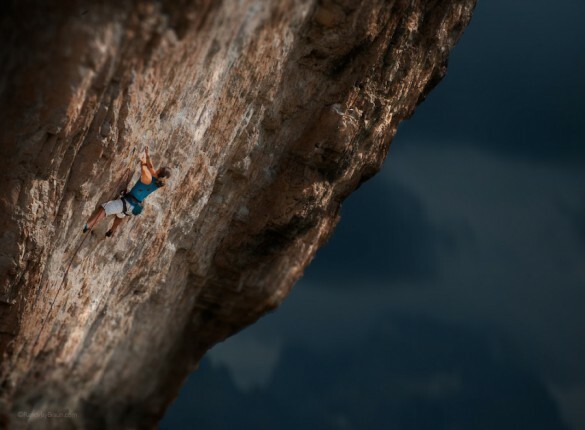 the fascinating world of climbing. And, of course, our climbing trips are always led by UIAGM/IFMGA Professional Mountain Guides, ensuring your safety and enjoyment. 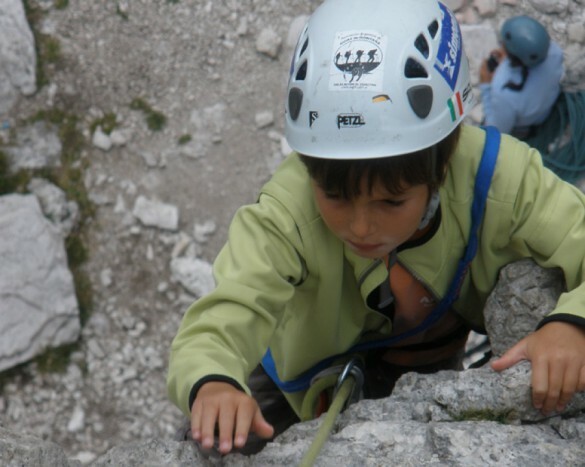 Join us for a week in the Dolomite Mountains, where and your family will learn how to rock climb and climb via ferrata, with plenty of hiking and relaxation time in between. Experience incredible mountain landscapes, food from three cultures, friendly local hosts, fascinating history, and incredible geology… need we say more? Climb on routes that shaped climbing history as you follow the vertical lines of pioneers who opened up climbing in the Dolomite Mountains. Discover for yourself why this beautiful mountain range is truly a playground for rock climbers and mountaineers!